When Dr. Steve McMahon came to Union Square Design to have his website redesigned he only had a URL. 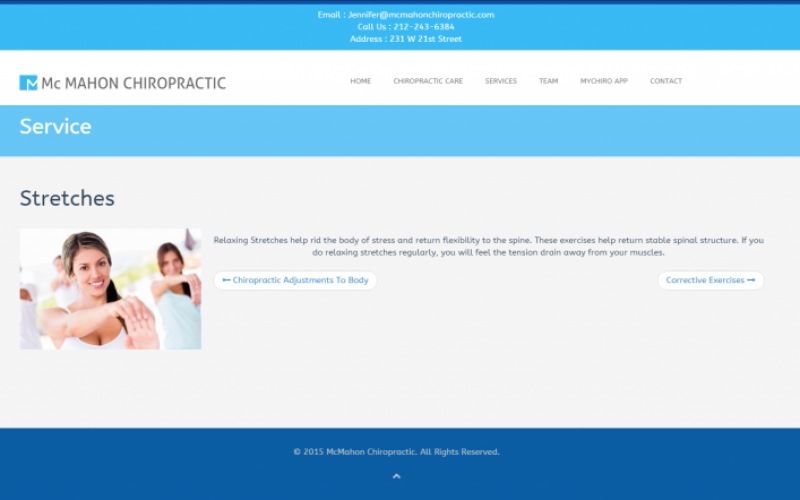 When we were finished Dr. McMahon and his clinic had a fully functional website. Since then McMahon Chiropractic has done really well. 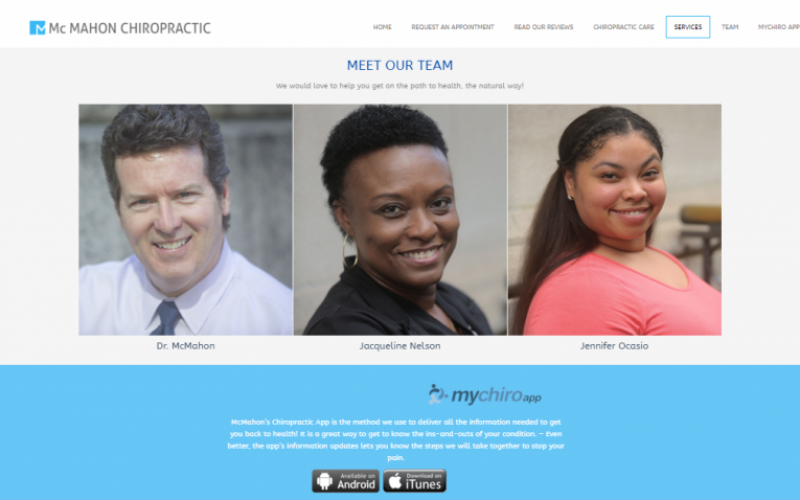 Union Square Design developed the MyChiro app, which allows Dr. McMahon’s office and their patients to interact with each other. 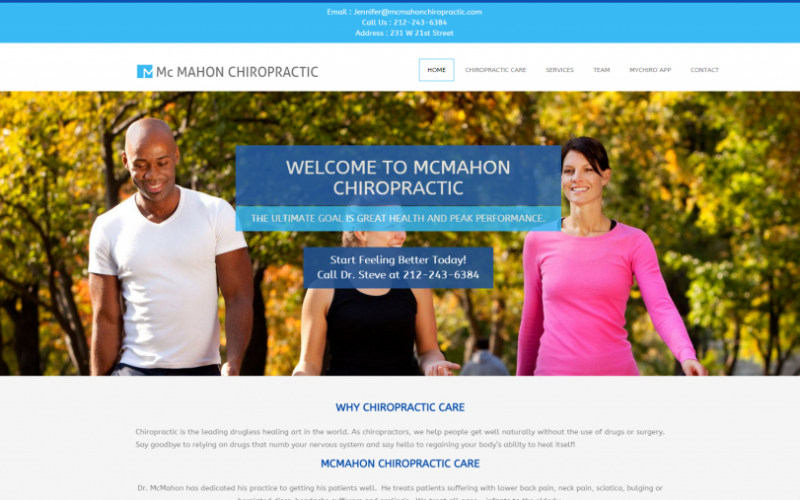 McMahon’s Chiropractic Mobile App is the method they use to deliver all the information needed to get users back to health. This app is a great way to get to know the ins-and-outs of your condition. Even better, the app’s information updates lets you know the steps they will take to stop your pain. The patients use the app to fill out contact information, appointment details, and any comments or questions they have. It is then sent directly to Dr. McMahon’s mobile phone. 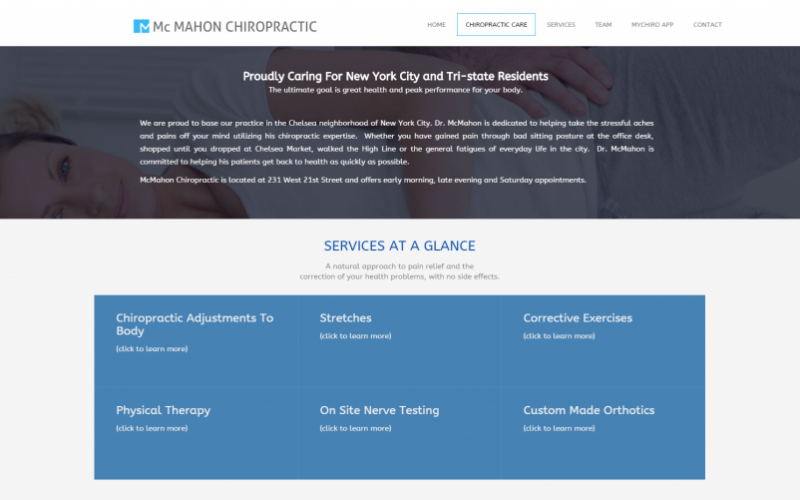 McMahon Chiropractic has been voted one of the best Chiropractors in New York City in 2015. The Chiropractic office is located at 231 W 21 Street, Manhattan. Dr. Steve McMahon and his team are specialists in chiropractic adjustments, stretches, corrective exercises, on-site nerve testing, and they provide many other wellness services. Based in the Chelsea neighborhood of Manhattan, McMahon Chiropractic’s dedicated team is proud to serve the New York neighborhood and the people who live in it. Dr. McMahon and his team are committed to helping their patients get back to health as quickly as possible. Not only do they just serve the small neighborhood of Chelsea, but the Tri-State area as well. “Dr. McMahon is an experienced,compassionate practitioner with a unique ability to listen to a patient’s issues and address them comprehensively. I highly recommend Dr. McMahon for anyone who can benefit from chiropractic care.”-William B.
Doctor’s hours are by appointment.